Midwest Champions DMI Defenders win the Midwest MAHS, WI tournament Championship with a 83-72 win over the Rockford Fire. Back to Back: CHAP Chariots Varsity Boys are back to back Michigan State Homeschool Champions. NCSAA Champions : Meanwhile FHSAA Hawks were busy getting their own Championship Awards. Tennessee MTAC Champions TN Heat Varsity Boys are MTAC Champions. Virginia State Champions FHSAA Hawks (Fairfax) Varsity Girls are the Virginia Home School Athletic Association (VHSAA) State Champions. Montana State Champions Gallatin Valley Homeschool Cougars Varsity Boys are the Montana Christian Athletic Association State Champions. North Carolina State Champions South Wake Sabres Varsity Girls are NC State Champs and we always see them in Lynchburg at the East Coast Nationals. North Carolina State Champions South Charlotte Thunder Varsity Boys are NC State Champs and will be making the first trip to Lynchburg at the East Coast Nationals soon. CVHAA Remembers CVHAA Patriots honor their fallen Alum in Richmond today at VHSAA States. State Championships in Virginia Richmond, VA hosts the VHSAA State Championships this weekend. Click on image for larger image. State Championships in North Carolina NCHEAC Homeschool State Championships going on this weekend in the Greensboro area. click on image for a larger view. State Championships in Montana Montana Homeschool teams competing in the Montana Christian Athletic Association State Championships. Click for larger image. Coastal Homeschool Hurricanes Varsity Boys are South Carolina State Champs. SWLA Lady Knights are ACEL Louisiana State Champions. IHS Lady Lions Junior High Team won the Championship in the Eagle Heights Invitational. 4-peat Wisconsin State Champions: SWCHA Saints Girls and Boys Varsity. Love it when teams get to display their East Coast Nationals Championship Banners. That is why we chose the chevron shape. Well done South Wake Sabres at your Senior Night, this is a February “Top Pick” pic! Event Tracker: Halfway Tournament, no missing logos here! Indianapolis Wildcats Alumni game at the Bankers Life Fieldhouse. Scott County Flames are game ready! Final Shot Photography sets the standard in homeschool sports action! HFC Warriors Varsity: Back to Back Champions of the Green Country Holiday Tournament. State Line Rush - Jingle Ball Champions 51-21 over Faith Christian (Roanoke, VA). HSAA JV Varsity Girls : Green Country Holiday Tournament Champions. Carolina Mustangs Varsity girls on a 7-game winning streak. HCA Falcons 16U Boys are FEAST Invitational Champions. CHESS Lady Knights Capture Fruitvale Tournament. Houston Mavericks 14-U Boys Central Texas Fall Classic champions! 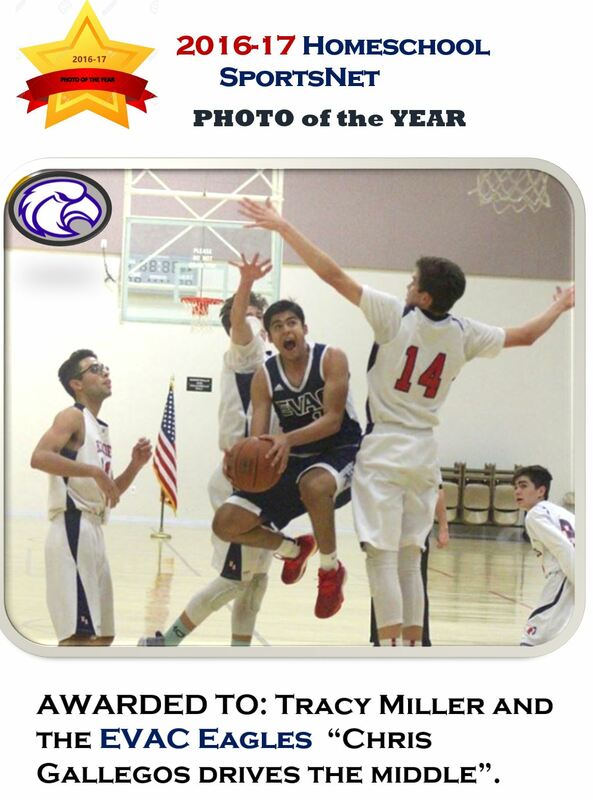 WINNER of the 2016-17 PHOTO of the YEAR! *Still* No Repeat 18-U Champions. How Refreshing! South Charlotte Thunder What a weekend it was for The South Charlotte Thunder! The guys played two amazing games on Saturday coming away victorious in both. The end result? We are the 2017 NCHEAC West Regional Champions! In addition, 3 of our players were named to the Western All Conference team and Coach Eddie Lambert was named Western Conference Coach of the Year! #14 Isaiah Abbott (Conference Co-player of the Year), #22 Thomas Hailey (Conference Defensive Player of the Year) and #1 Matt Broussard. SWCHA Saints Varsity Girls & Varsity Boys basketball teams 1st place for the 3rd year in a row at the Wisconsin State Homeschool Tournament. HCA Falcons JV Boys (Rio Vista, TX) 12-0 on the season (courtesy summermyersphotography.com). They'll be at East Coast Nationals in March. State Line Rush Girls Roanoke Jingle Ball Tournament Champions. They'll be at East Coast Nationals in March. BOYS: KASH Eagles KASH Eagles 14-U team had an exciting week! They beat the Ft. Wayne Hawks last Tuesday 46-31. Nathan scored 17 points while Josh put up 14. Patrick had 6 steals. They went on to win against the Tippecanoe Tornados 31-16. Seth had 9 points with 3 assists and 3 steals while Nathan scored 8 going 4 for 4 from the field. They finished the week with another win against the Indianapolis Wildcats. It was a nail-biter ending with a score of 39-38. Josh put up 14 points with 7 assists and Nathan scored 10. Seth pulled down 7 rebounds. Congratulations, boys, on your undefeated record of 6-0!!! Front Royal Flames Basketball workouts begins The Flames high school teams began pre-season workouts this week, gearing up for the official first practice in 2 weeks. Registration is open, Have you been to East Coast NATIONALS yet? SATCH Mavericks Champions in Texas! Join us for our 10th Anniversary Event at the 2016 East Coast Homeschool Basketball Championships. The LARGEST homeschool sports event on the East Coast is held on the campus of Liberty University on March 14-18, 2016. DMI Defenders wins Pathway Tournament, on a 25-game winning streak. Lubbock Titans The Titan JV boys BASKETBALL team brought home the championship plaque from the Borden County Tournament this weekend. The Titans defeated Garden City, 51-15, took the win from Stanton, 53-43, then captured the championship from Borden County, 53-37. EVAC Eagles Great Fan Support! Surry Runnin' Patriots Varsity Girls team photo is nominated for "Photo of the Year"
win the mid-South Homeschool Basketball Championship. edged out the Jackson Victors to win the MSAHA State Tournament this weekend. SWCHA Saints' Matthew Payne reaches 1,000 career points milestone! Brevard HEAT building a winning season. Texas Basketball HSAA Blue and CHANT Chargers delivered a great game! Baton Rouge Homeschool Eagles Flying High! South Metro Huskies Current and former players reunite at the Alumni Games. Wyoming Warriors a very close Alumni Game. Brevard Heat (FB Post by Karen McPherson ) "I was truly amazed at the heart our players showed in this game against Merritt Island. Our 7 guys (2 were not able to be there) took on the 15 player squad from Merritt Island Christian School. We faced injuries, players out on fouls and it literally came down to the point that whether we were winning or not, one more injury or foul would have caused us to forfeit the game for lack of players. It is a great reminder why every team member matters so much! Thank you, young HEAT men, for showing us last night what it looks like to persevere and "man-up" until the end. SO proud of you all!!" Tennessee HEAT "Heat it Up" Tournament Champs. Rockford FIRE Basketball Khakis are Kool! Hattiesburg Forerunners Bronze Bracket victory at the Jackson Tip-Off Tournament (courtesy Chuck Cook). Scott County Flames have started basketball practice. CHSM Basketball Conditioning Camp participants are working hard in preparation for the season! - (from FB Post‎) Lst day of the summer season. - (from FB Post, photo courtesy Jeff Keller) participated in a two-day tournament at Campbell University last week. They played against some of the strongest competition around (last year's high school 4A State champs) and grew individually and as a team. A wonderful experience (Thanks to Coach Kyle for sponsoring the team). - (from Twitter Feed) 40 girls said, "Yes, I want to get better!" Memphis Nighthawks - (from FB post) We had a fantastic turnout tonight for our kick-off basketball camp! Surry Runnin' Patriots Girls Basketball team is recognized by Surry County Commissioners at the board's May 4 meeting. 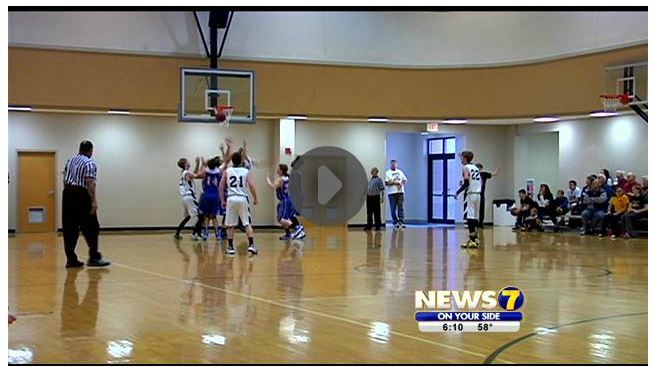 The Runnin' Patriots provide the opportunity for home-schooled students in Surry County to participate in athletics. 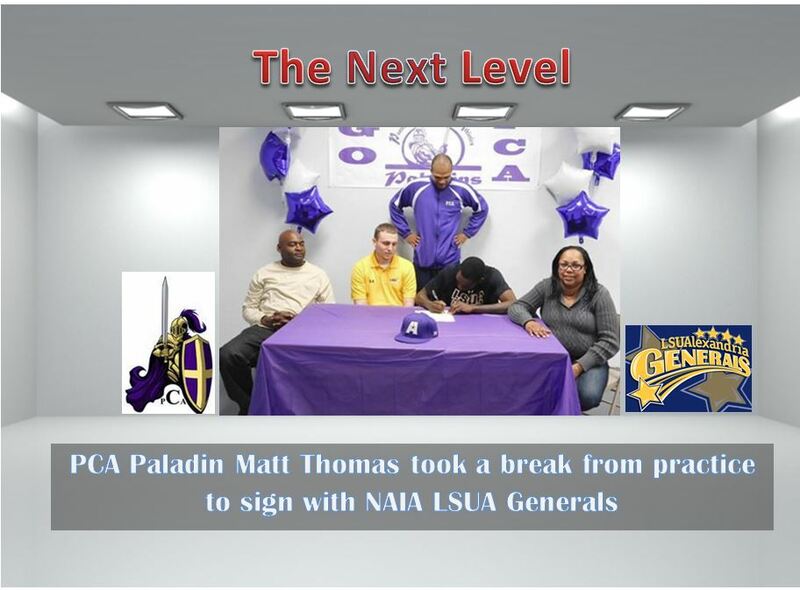 The program has teams for both boys and girls basketball and cross country. The girls team won the state basketball title this season. 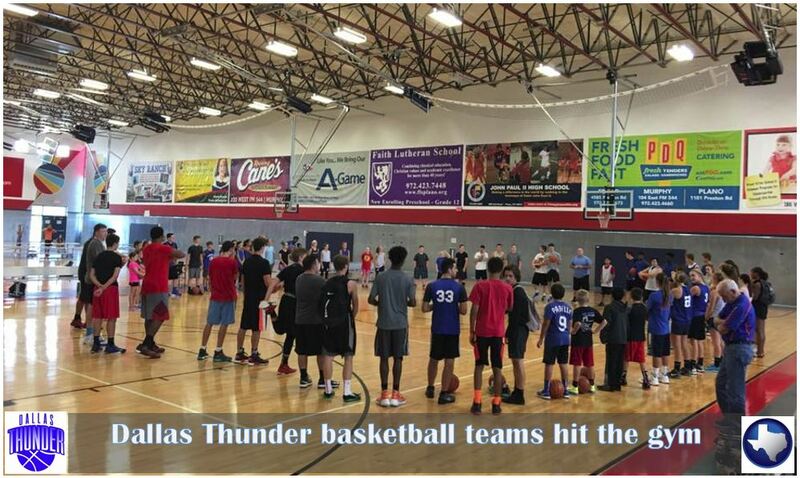 Austin Royals (from FB post) Basketball Off-Season Training has begun! Come out and improve your skills in preparation for the 2015-2016 season! — at The PAC. (posted Feb 25) Congratulations to the AHSA Angels (Albuquerque) for winning the ACSL Championship Tuesday night. It's the 4th year in a row and the 3rd year being undefeated in ACSL league play. IOWA: SWCHA Saints 5th/6th grade boys basketball - 3rd place at the Warrior Classic. IOWA: Lady Defenders 3rd place finish this weekend at the East Moline Christian Varsity Girls Invitational, your Sportsmanship Award, and DMI's Candace Wilson for winning tournament MVP. OHIO: Lady Blazers group photo at SportsPlus. MISSOURI: Lighthouse Christian Eagles Varsity Boys team photo. NORTH CAROLINA: Carolina Cougars are 2015 TCS champions for the 3rd year in a row. LOUISIANA: contest between rival Baton Rouge homeschool groups: Baton Rouge Eagles and CHEF Patriots. MISSISSIPPI: Victors Homeschool Alumni game. TEXAS: San Angelo Lady Saints team photo. MICHIGAN: Wyoming Warriors competed in the Fort Wayne Guard Invitational Tournament - Warriors played 4 games. Win, loss, win, loss. All by 2 points! VIRGINIA: State Line RUSH Runner-up in 1st ever New Life New Year's Invitational in Raleigh, NC. VIRGINIA: Front Royal Flames MS Boys take 2nd at the Mountain View Tournament. MONTANA: Gallatin Valley Homeschool Cougars Varsity and JV team photos. ILLINOIS: Jacob BUUUUNNNKKEEEEE!!!! of the Rockford FIRE achieves 1,000 career points scored on Dec 16th. WISCONSIN: Coach Brown and the 5-0 SWCHA Saints Varsity Girls basketball team. VIRGINIA: 2,000 Career Points scored by State Line RUSH's Audrey Clark. Congratulations Audrey! OHIO: Eagles vs Northside Lions in a Border Battle game. TEXAS: Lubbock Lady Titans are the 2014 Anton Tournament Champions. SOUTH CAROLINA: Showdown - Lowcountry Wildcats hosted Carolina Chargers. OKLAHOMA: For the first time in OKC Storm program history, the varsity boys are Millwood tourney champs! Defeating 6A Booker T. 73-60. VIRGINIA: Front Royal Flames Varsity girls at the VHSAA Beach Showcase last week. IOWA: DMI Defenders Varsity Boys and Girls teams remain undefeated. TEXAS: Austin Royals High School boys and girls basketball teams serving at the Merry Memories Christmas event at Dove Springs Recreation Center this past Saturday. OHIO: Cincy Trailblazers girls pose with Australian National Team. MISSOURI: Lighthouse Eagles slip past FHS Eagles 67-66 in Consolation Final at 2014 Walnut Grove Holiday Classic #20 Anderson hits winner. TEXAS: HCYA Warriors the "6th Man" is the 6-member roster for the Varsity Boys Team. TEXAS: Paris Warriors JV Boys and MS Girls in action. (posted Dec 13) Lean and lanky Owen Gray, 13, loves basketball. The Cypress teen never complained about having to be at practice at 6 a.m. for his home school league and said he enjoyed the team's heavy 67-game schedule. Last year Gray was named to the National Christian Homeschool Championship all-tournament team. He went to basketball camp at Baylor University where he polished his game with Baylor standout Isaiah Austin. 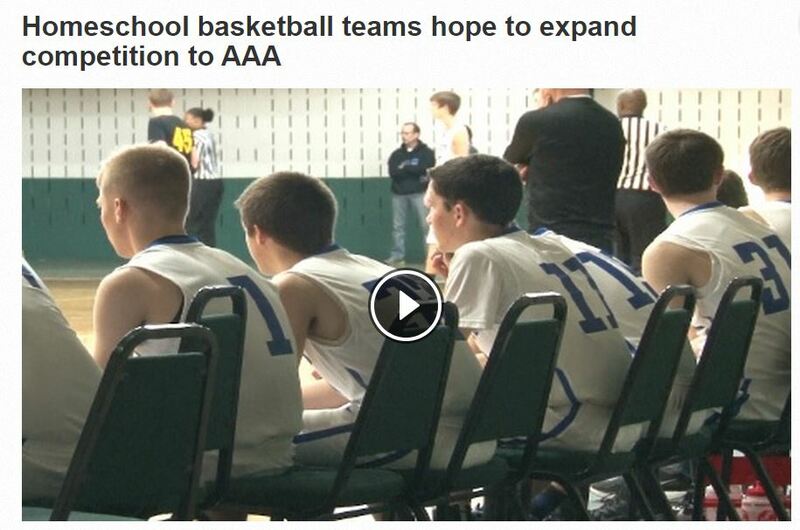 Neither he nor Austin had a clue that each would soon receive a diagnosis of Marfan syndrome - a genetic disorder of the connective tissue - that would prohibit either from playing basketball or any other contact sport again. (updated Dec 20) clockwise: VIRGINIA: Audrey Clark of State Line RUSH surpasses 2,000 points in her career. ILLINOIS: Jacob Bunke of the Rockford FIRE achieves 1,000 career points scored on Dec 16th. INDIANA: Noah Oetjen of the Indy Wildcats achieves 1,000 career points scored and Wildcat alum & fellow 1,000 point club member, Paul Settle, presents him a commemorative ball. (posted Dec 13) Rockford FIRE: The "FIRE PIT", our student cheering section, is the brainchild of one of our enthusiastic FIRE moms' (she's had as many as 3 boys playing on 3 different levels of FIRE basketball teams). Not only do the FIRE PIT kids cheer on the boys at home & away games, they construct run throughs and signs, they organize "theme" nights (Black Out, White Out, Pink Out! ), they put together gifts and create posters for senior players and their moms on Senior Night...and the list goes on and on. The criteria for joining the FIRE PIT? Hold to the FIRE acronym, Faith, Integrity, Respect and Excellence, have a positive attitude and an interest in supporting the FIRE program. We love our FIRE PIT! !